When most of us select our eyeglasses, we tend to assume that getting a new pair means getting just one new pair. However, you don’t always need to limit yourself to just a single pair of glasses, no more than you should settle for only one jacket, one pair of shoes, or one sweater. On the contrary, there are quite a few benefits to owning multiple pairs of glasses that you can use in different contexts and for various activities and environments. 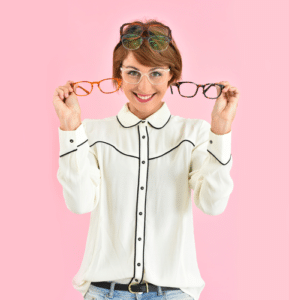 Courtesy of All Eye Care Doctors, your premier optical center in Cambridge, MA, here are some of the perks you can gain by having multiple pairs at your disposal. As we continue to use computers and other smart devices more and more, eye fatigue is becoming a major problem. To help avoid the strain that looking at screens all day puts on your eyes, try getting a pair of glasses with blue light filters and transitions. Eye glasses that include blue light filters and transition glasses can be worn a majority of the time, even every day and will alleviate a lot of the strain that is caused by electronic devices and protect your eyes from outdoor UV exposure. If you are a contact lens wearer we recommend that you use clear plano lenses that have blue light filters. Polarized sunglasses are built to cut the glare and UV rays that can come from light sources such as sunshine, rain, and snow. Having a pair of polarized glasses around can make it much easier for you to go out and complete whatever outdoor activities and errands you have, without having your glasses keep you behind. Your eyewear makes a big difference in your physical appearance. Sitting front-and-center on your face, having different pairs of glasses to choose from for various outfits and occasions ranging from weddings and casual get-togethers to work and lounging around the house. After all, when it comes to your wardrobe, it’s always a good thing to diversify and eyeglasses should be no exception. Are you interested in browsing our selection of designer eyeglasses? All Eye Care Doctors has all that and more, providing everything from vision tests to emergency eye care for Boston communities. If you would like to meet with our optometrists, call our Cambridge office today at 857-600-0701 or our Medford office at 781-393-5367.